Richard Flavell has spent over twenty years working as a financial engineer, consultant and trainer, specialising in complex derivatives and risk management. He spent seven years as Director of Financial Engineering at Lombard Risk, where he was responsible for the mathematical development and implementation of models in its varied pricing and risk systems. He is currently Chairman of Lucidate, a company which specialises in the provision of consultancy and training to financial institutions. List of Worksheets (see the accompanying CD). 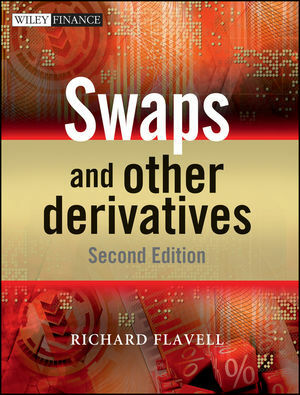 1 Swaps and Other Derivatives. 1.3 An overview of the swap market. 1.4 The evolution of the swap market. 2 Short-term Interest Rate Swaps. 2.1 Discounting, the time value of money and other matters. 2.2 Forward rate agreements (FRAs) and interest rate futures. 2.4 Convexity bias in futures. 2.5 Forward valuing a swap. 3 Generic Interest Rate Swaps. 3.1 Generic interest rate swaps. 3.2 Pricing through comparative advantage. 3.3 The relative pricing of generic IRSs. 3.4 The relationship between the bond and swap markets. 3.5 Implying a discount function. 3.6 Building a blended curve. 4 The Pricing and Valuation of Non-generic Swaps. 4.1 The pricing of simple non-generic swaps: forward starts. 4.3 Pricing of simple non-generic swaps: a more complex example. 4.4 Forward valuing as an alternative to discounting-revisited. 5.1 Creation and pricing of a par asset swap. 5.2 Creation and pricing of a par maturity asset swap. 5.3 Discounting, embedded loans and forward valuing. 5.4 Further extensions to asset packaging. 6.3 Pricing and hedging of generic CDSs. 6.5 Pricing and valuing non-generic CDSs. 6.6 Basket and portfolio CDSs. 6.7 Credit exposure under swaps. 6.8 Appendix: An outline of the credit modelling of portfolios. 7.5 Convexity effects of swaps. 7.6 Appendix: Measuring the convexity effect. 7.6.1 Two approaches to measuring the convexity effect. 7.6.2 A general mismatch swap. 8 Cross-market and Other Market Swaps. 8.3 Equity and commodity swaps. 9.2 Pricing and hedging of CCBSs. 10.2 The Black option-pricing model. 10.4 Par and forward volatilities. 10.5 Caps, floors and collars. 10.9 Structures with embedded swaptions. 10.10 Options on credit default swaps. 10.13 Appendix: The SABR model for stochastic volatility. 11.2 Examples of some structured securities. 11.3 Numerical interest rate models. 11.5 Appendix: Extensions to numerical trees. 11.5.1 Incorporating a volatility smile. 11.5.3 Extensions to BDT and HW models. 12 Traditional Market Risk Management. 12.2 Interest rate risk management. 12.3 Gridpoint risk management-market rates. 12.6 Gridpoint risk management-zero-coupon rates. 12.7 Yield curve risk management. 12.8 Bond and swap futures. 12.10 Risk management of IR option portfolios. 12.11 Hedging of inflation swaps. 12.12 Appendix: Analysis of swap curves. 13.2 A very simple example. 13.3 A very simple example extended. 13.5 Choice of risk factors and cashflow mapping. 13.6 Estimation of volatility and correlations. 13.9 Shortcomings and extensions to simulation methods. 13.10 Delta-gamma and other methods. 13.13 Shock testing of VaR. 13.14 Stress testing of VaR. 13.15 Appendix: Extreme value theory. 13.15.1 Peaks over threshold: negative exponential. 13.15.2 Peaks over threshold: Generalised Pareto.